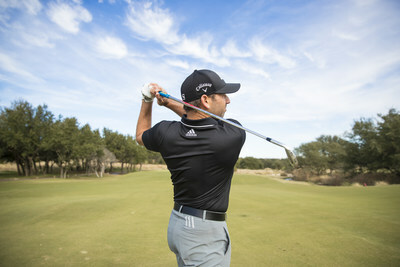 CARLSBAD, Calif., Jan. 2, 2018 /PRNewswire/ -- Callaway Golf Company (NYSE: ELY) announced today that Sergio Garcia, the reigning Masters Champion, has joined its Tour Professional Staff. He will play Callaway woods, irons and wedges, an Odyssey putter and a Callaway Chrome Soft ball. "I`m really excited to switch to Callaway," said Garcia. "After testing different brands I realized Callaway`s technology and innovation will help me maximize my game and perform to the best of my ability." Callaway's Tour Department worked extensively with Garcia to dial in the specs on each of his clubs, from driver to putter, to promote maximum distance, accuracy and control. "The launch monitor doesn't lie," said Tim Reed, SVP, Global Sports Marketing, Callaway Golf. "Jailbreak driver technology has upped his distance off the tee. And the combination of Apex irons, Mack Daddy 4 wedges and our Chrome Soft ball has given him tremendous control on approach shots, and around the green." On the green, Sergio is currently using a new Odyssey putter that he's won with previously. "It's an exciting new toe hang mallet that we will launch next month," said Sean Toulon, SVP, Callaway Golf & GM, Odyssey Brand. "He really likes the choices we have for him, especially the roll enhancing face technologies that our putters feature." Garcia, 37, has won 30 tournaments worldwide since turning professional in 1999, including 10 on the PGA TOUR, and he's consistently been one of the top ranked players in the world throughout his career. He has also been a mainstay in Ryder Cup competition for the past two decades, competing on eight European teams while compiling an impressive 19-11-7 record. Last October, Garcia won the Valderrama Masters in his native Spain with a Mack Daddy 4 Wedge and an Odyssey putter in the bag. "Sergio has been one of the world's most talented and charismatic players for almost 20 years," said Callaway President & CEO Chip Brewer. "It will be fun to see what he can do using Callaway equipment." In addition to playing Callaway equipment Garcia will display a Callaway logo on both sides of his hat. Terms of the agreement were not disclosed. Through an unwavering commitment to innovation, Callaway Golf Company (NYSE: ELY) creates products designed to make every golfer a better golfer. 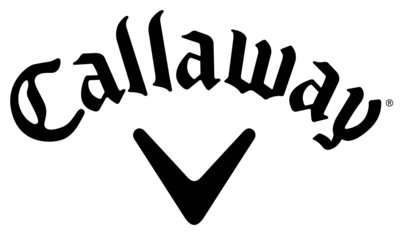 Callaway Golf Company manufactures and sells golf clubs and golf balls, and sells bags, accessories and apparel in the golf and lifestyle categories, under the Callaway Golf®, Odyssey®, OGIO® and TravisMathew® brands worldwide. For more information please visit www.callawaygolf.com, www.odysseygolf.com, www.ogio.com, and www.travismathew.com.